Kelly English and Jonathan Magallanes make friends, make food. 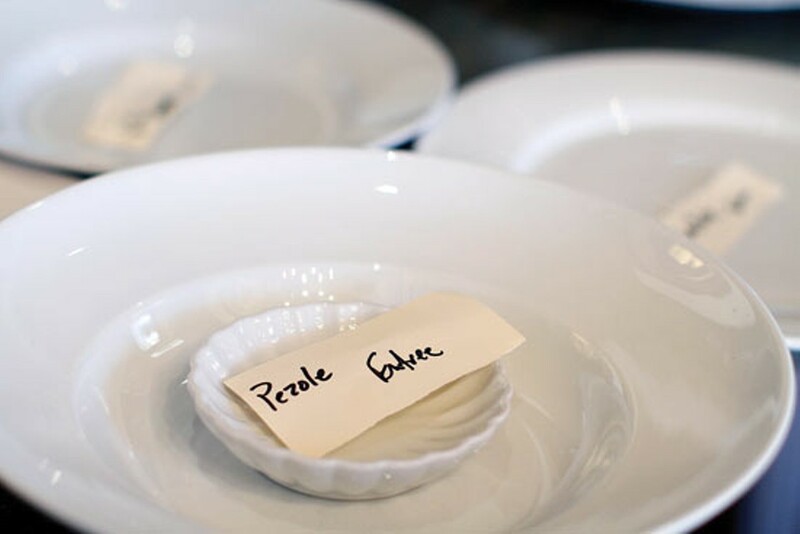 What's the first thing a young chef does after opening his own restaurant? Find someone else to do the cooking for a change. After Kelly English opened Restaurant Iris in Midtown, he started checking out the Memphis restaurant scene. Las Tortugas Deli Mexicana in Germantown was a favorite find, as much for the people as the food. On his first visit, English had an elephant-ear torta, a hand-carved sirloin sandwich, that reminded him of the roast beef po'boys he loves from his native New Orleans. He was hooked. At the same time, Jonathan Magallanes, owner of Las Tortugas, visited Restaurant Iris "to see what all the fuss was about." "I was more than impressed," Magallanes says. "I was blown away. It felt like everything I hope people experience at Las Tortugas." "Ours are very different restaurants but with very similar philosophies of carefully sourcing ingredients and taking care of our customers," English adds. English and Magallanes became friends quickly, and with that friendship, they began to exchange ideas. 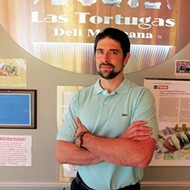 When Kelly competed in Cochon 555 in Atlanta, he looked to Las Tortugas for help. "Kelly was in our kitchen learning tamales," Magallanes says. "He used his own recipe for the filling at the event, but he learned technique with us." 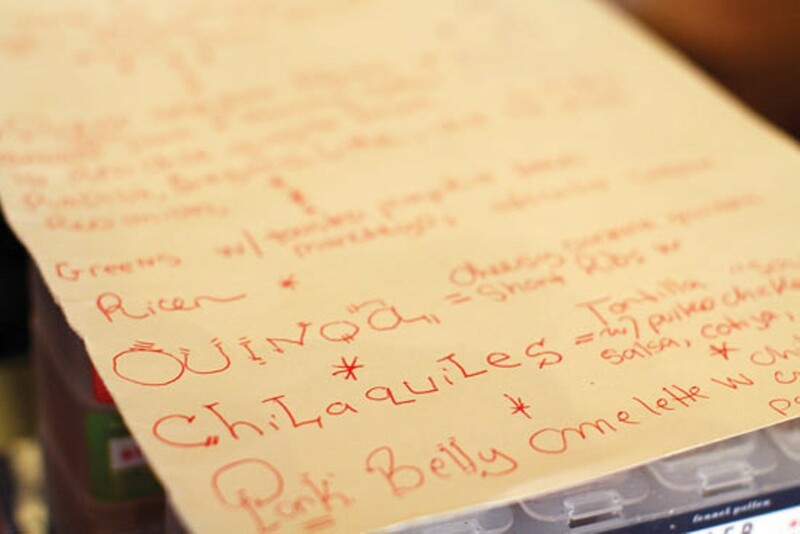 Last October, English and Magallanes were invited to cook at the annual Southern Foodways Alliance Symposium in Oxford, Mississippi. Their barbacoa was chosen to match the symposium's "Global South" theme, and they were presented a challenging ingredient — cow heads — to prepare traditional tacos de cabeza. "We had one practice run, and it went well," English says. "For the event, we were going to do 42 cow heads. I wasn't sure how it would work. Two heads in a hole is one thing; 42 heads and 800 pounds of charcoal is an entirely different thing. We were very confident in what we were doing, but we knew there was an outside chance that it wasn't going to translate to 42 heads." After a sleepless night and a nearly disastrous encounter with the Oxford Fire Department over the size of the fire, the barbacoa was a resounding success, providing a unique dinner to hundreds of symposium attendees. The teamwork between English and Magallanes will be seen at another event, thanks to changes English is making to the hours at Restaurant Iris. The restaurant will serve dinner on Monday nights, and brunch with visiting chefs will be served only on the third Sunday of each month. According to English, Jeff Frisby, Restaurant Iris' general manager, came up with the idea of a collaborative brunch. 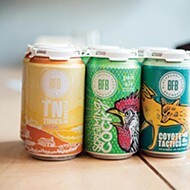 "We wanted to do something where we could cook with some friends and take in some people regionally and offer Memphis something that they don't have on a regular basis," English says. The obvious choice for the first brunch partner was Magallanes. "Kelly called and asked if I was interested. I was more than interested; I committed right away. We've been experimenting and talking and tasting ever since," Magallanes says. 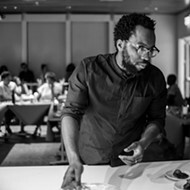 Both restaurants' styles will be represented in a blending of techniques and flavors. "This will be a very different type of brunch," English explains. "We may not even serve biscuits. We aren't at Jonathan's. It will be a complete collaboration," English says. After the meal with Magallanes on January 16th (which is already sold out), brunch in February will feature Jennifer Chandler, author of Simply Salads and Simply Suppers. Future brunches will include Lee Richardson of Little Rock's Capital Hotel; Elizabeth Heiskell, co-author of Somebody Stole the Cornbread from My Dressing; and Kat Gordon, owner of Muddy's Bake Shop. The friendly partnership between English and Magallanes will continue as well. 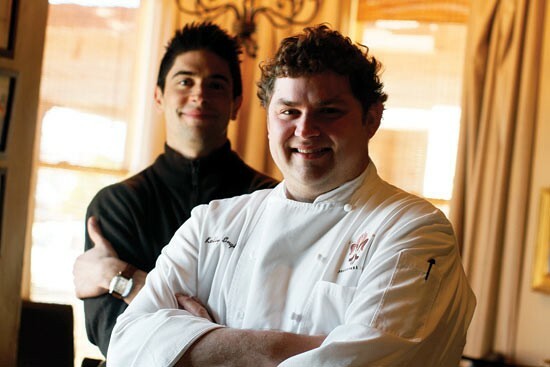 "Jonathan is one of the most passionate people about food that I have ever met. He will text me at 3 a.m. with a dish. He is full of ideas," English says. For more information on upcoming brunches, go to restaurantiris.com or call 590-2828. Memphis gets a Pita Pit; Trolley Stop Market gets an update. New chefs at Bleu and Blind Bear. Kelly English to unveil Second Line, host Beard Dinner.